We have two photo booth types to choose from – the full enclosed photo booth or our open tower photo booth. We have lots of options so let us customize your experience to fit YOUR needs. 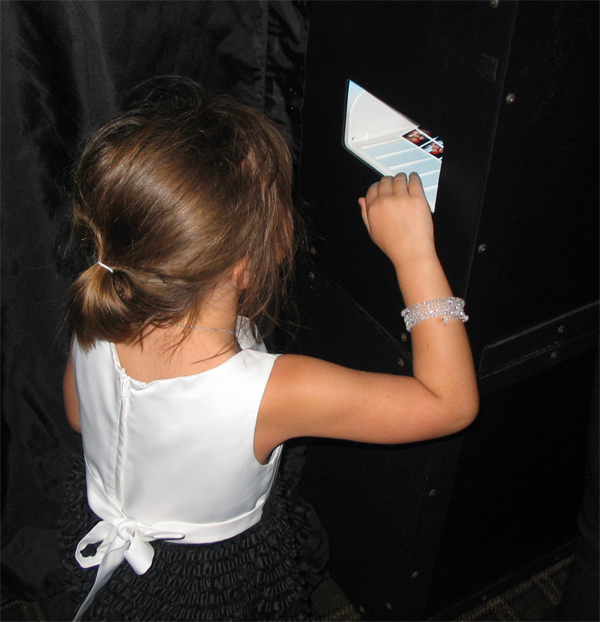 We have two different photo booth types – a traditional enclosed photo booth and our popular open tower photo booth. 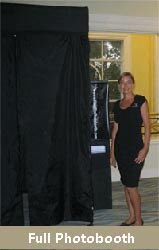 Both photo booths are portable and fit easily in to most any venue and accommodate group photos. Get a quick quote. Accommodates from 1 to 10 guests, 20 inch Flat Panel LED Widescreen Monitor, Ultra-High Resolution Digital SLR Camera, Designed to take up a small floor space and fit in with your décor. We make it easy for you and your guests! We require a $150 deposit to reserve your photo booth. The next step is to work with you on customizing the photo strip design, finding out the best place to set up the photo booth, what types of props you want and any other necessary details. Our professional technician (staff) will arrive before your event and set up the booth. During your event they will be at the booth to answer any questions and help your guests. Your guests look at the monitor, pose and the fun begins. Why Choose Great Pics Photobooths ? Amazing props – most guests say some of the best in the industry! *Also we are licensed and insured. Most large venues require this documentation. How do I reserve a Photobooth? Once we’ve confirmed a booth is available for your event date we will send you a link to the online contract and secure shopping cart to pay the retainer deposit. The final balance is due 5 days before your event. Remember – reservations are not final until we receive your deposit. Professional staff, fantastic props and a commitment to create a fun experience for you and your guests.